There have been 303 shootings this year in the United States. 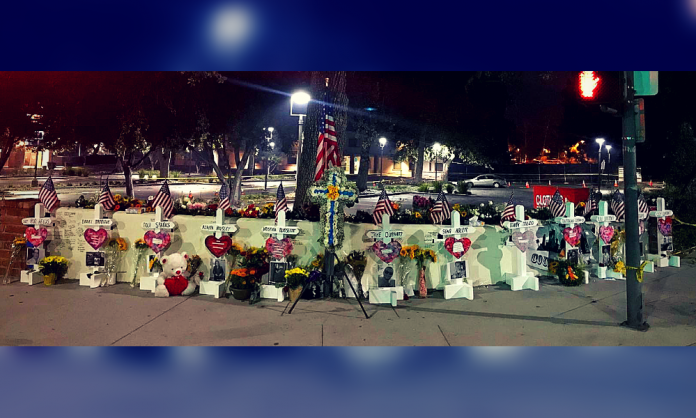 On Nov. 7, a mass shooting at Borderline Bar & Grill in Thousand Oaks, California was added to the list. In the third safest city in America, in my hometown, endemic gun violence killed 13 community members. For the past week, I have been reading messages on social media of strangers standing in solidarity with my town, granting me their thoughts and sending me their prayers. Typing these loaded words intend for no substantial impact other than for the suppression of one’s own civic discomfort – but our affinity for instant relief in times of distress only makes us complicit to inaction. How many more mass shootings need to transpire before we change our response to gun violence from being reactive to proactive? Planning how to respond to a shooter in a classroom is not being proactive. This is the reaction to a negligence of gun control policy in Congress. Precautioning people of emergency exists in a synagogue and adding more security in temples is not being proactive. This is the reaction to a president placing the National Rifle Association’s corporate greed above the of concern of a public dysphoria. Under the facade of preventive commotion, we can convince ourselves we are ‘safe,’ at least until the next shooting occurs. There are overlooked pieces in the gun violence argument that transcend political party lines and reveal an inherently problematic truth to gun control advocacy – and until we recognize it, it will continue to inhibit effectual change. Until we discontinue our implicit racial biases, we will continue to view danger as the byproduct of one’s skin color. Regardless of political ideology, everyone is guilty of holding implicit biases, allowing racial profiling of minorities to occur as second nature. Do not assume people of color cannot hold racial biases either. The South Asian community must recognize its role in creating faulty generalizations as well. When you are fighting against national mass shootings, you are accountable for calling out domestic terrorism and white privilege – not mental health, not unstable upbringing, nor personal trauma. Because, when it comes down to it, do we do the same for people of color? Circumvent the inconsistencies of how our nation views terrorism by mobilizing your peers, relatives and community members in intersectional discussions on gun violence. Stop accounting gun violence based off of mere relativity – that it could happen to my mom, my father, or my brother, instead, rely on a sole consideration of human worth. Learn about gun violence in relation to the discrimination of sexuality and gender, domestic violence, police brutality, and the many other archetypes of hate crimes. Do not wait for a mass shooting to come to your hometown to feel affected by its brutalities. 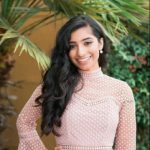 Kavita Rai is a youth activist who advocates for social justice through many outlets. As a student journalist, she loves being able to not only express her opinions on important issues, but also give a voice to others by sharing their story. Rai’s advocacy continues through her work for the United Nations Foundation initiative, Girl Up. Girl Up is a world-wide organization that fights for gender equality, but specializes attention to developing countries. She is the President and Co-Founder of the chapter at her school and also serves on Girl Up’s 2018-2019 Teen Advisor Board. Additionally, Rai loves to talk anything fashion-from the perfect summer to fall transition color to the looks at the Met Gala. In her free time, Kavita loves to find quirky restaurants in L.A., shop and spend time with her friends and family. Rai wants to share her opinions, advocacy and adventures with Brown Girl Magazine and is excited for the journey! 7 Must-Visit Beaches for Every Beach Bombshell!